Over 300 crafters are smiling all the way to the bank, thanks to a successful upliftment programme. 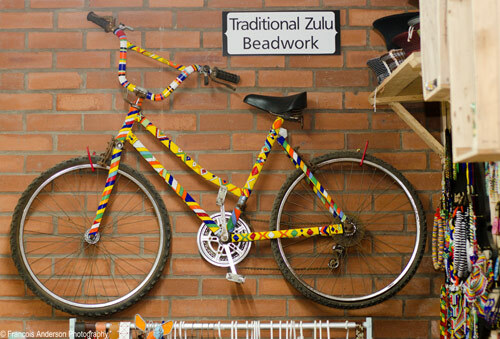 What started out as an initiative to generate income through beadwork for locals affected by HIV and AIDS in an area called the Valley of 1000 Hills in KwaZulu-Natal, has now grown into a lucrative export business. Woza Moya is a non-profit organisation founded in 2002 to equip locals infected or affected by HIV and AIDS to generate income. The project acts as an agent for about 300 crafters in the area exporting local work to countries such as Netherlands, France, and Australia. Woza Moya offers training to the crafters and a market for their craft through an online shop which sells to overseas clients. Woza Moya Project Manager Lungile Manyathi said the organisation works with community members from the Valley of 1000 Hills which includes areas such as KwaNyuswa, Shongweni Dam, Molweni, Inchanga, Skelekehleni, Cato Ridge and Marianhill. Manyathi adds that finding employment for people who are involved in this initiative was a challenge because some of them have no marketable skills and have never been employed. One of the Woza Moya crafters Beauty Elefu who joined the project after the death of her husband said she is very happy to be part of the project. “I use the income that I generate from the sales to support my six children. I bead everything at home and visit the Woza Moya centre on Fridays to hand in my work and collect new orders for the following week,” said Elefu. Manyathi added that the crafters work very hard to develop a unique style. “To stay viable, we have had to come up with new designs which make our beadwork an exportable commodity. 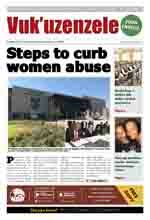 We have tried very hard to develop our own style,” Manyathi added. The initiative also recently won the title of Exporter of the Year at the KwaZulu-Natal Export Awards hosted by the Durban Chamber of Commerce and Industry.